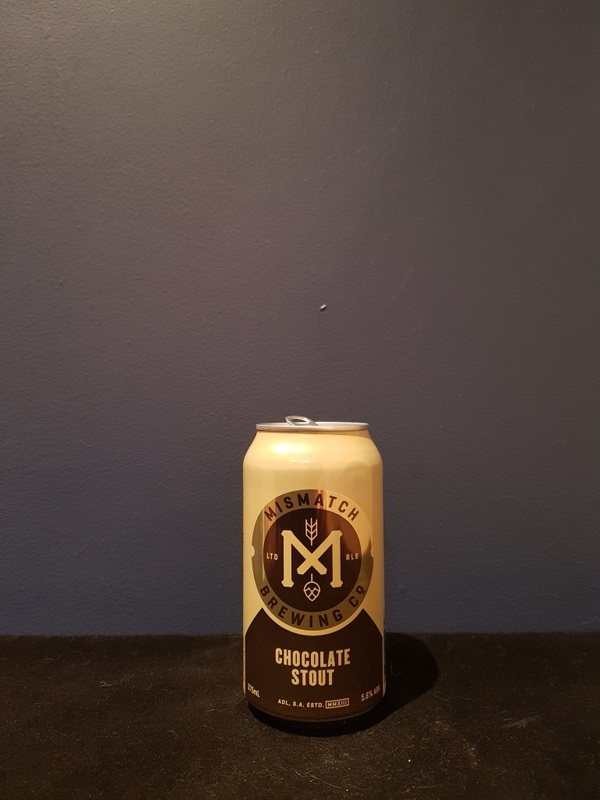 Beer #2539 is a chocolate stout brewed by Mismatch Brewing Company in Wayville, S.A., Australia. As a stout this is rather good, smooth, sweet, creamy, hints of chocolate, some coffee in the aroma. As a chocolate stout it’s a little disappointing because there is very little chocolate to it. Yes it’s there but most stouts have that anyway so i just wanted a bit more as that’s what it’s sold as. Still, it’s a good stout, just not a good chocolate stout. The bottle size is 330ML with an alcohol content of 5.80% (containing approximately 1.50 AU / 1.90 UK standard drinks), and it costs $5.00.